Dr. Mammen is a Houston Cardiologist who was born in India, in the southern state of Kerala. He moved to the United States in 1976 after completing medical school. He completed his residency in Internal Medicine in Baltimore, Maryland, and moved to Houston in 1979 to attend the Cardiology Fellowship program at Texas Heart Institute (St. Luke's Episcopal Hospital). 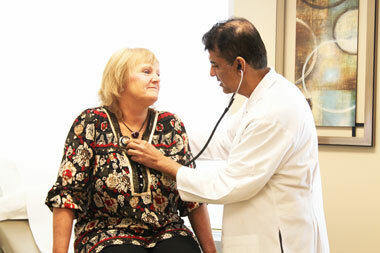 Dr. Mammen is board certified in Internal Medicine and Cardiology. He joined Memorial Katy Cardiology Associates in 1982, and obtained his certification in Interventional Cardiology in 2000. He is trained in all aspects of adult cardiology with an emphasis on coronary artery disease and heart failure. Dr. Mammen has particular interest in invasive procedures such as angioplasty, stent implantation and pacemakers. Dr. Mammen is active in hospital and physician affairs and has served as Chief of Cardiology at Memorial Hermann Memorial City Hospital. He has also served as Medical Director of the ICU at Memorial Hermann Katy Hospital. He is currently President of Medical Staff at Methodist West Houston Hospital. Dr. Mammen's personal interests include tennis and skiing. He likes to spend his spare time with his wife, and three children. Dr. Mehta was born in Winnipeg, Canada. He grew up in Houston and is a graduate of Memorial High School. He attended The University of Texas at Austin where he received a Bachelors of Arts in Biology and was on the Dean’s List. He continued his medical school at the University of Texas Medical Branch in Galveston and residency in Internal Medicine at The University of Alabama at Birmingham. He then completed his training in Cardiology at the Medical College of Georgia, where he was trained in specialized invasive procedures and diagnostic imaging. He joined Memorial Katy Cardiology Associates in 1998. He has expertise in all aspects of Cardiology including the evaluation of common cardiac complaints such as chest pain, shortness of breath, passing out, leg swelling and palpitations. He has special interest in preventive cardiology including management of high blood pressure, cholesterol disorders, as well as management of the disease after they have developed such circulatory problems of the legs, coronary artery disease, and heart failure. Dr. Mehta places special emphasis on patient education. Dr. Mehta is trained in cardiac special procedures, including coronary angiography and angioplasty, pacemaker insertion and transesophageal echocardiography. His main research has been in cardiac imaging and he has several publications on echocardiography. ? Dr Mehta’s personal interests include playing guitar and spending time with his wife, two daughters and golden retriever. American Board of Internal Medicine, Internal Medicine. American Board of Internal Medicine, Cardiovascular Diseases. Anil C.Odhav M.D. | F.A.C.C. Dr. Odhav performed his cardiovascular training at the Medical College of Georgia in Augusta and joined Memorial Katy Cardiology Associates in January 2001. Dr. Feldman was born in Houston, Texas. He grew up in the Memorial area and attended Memorial High School. He received his bachelor’s degree in Economics with honors from The University of Texas at Austin. He then completed his medical training at Creighton University School of Medicine. His Internal Medicine and Cardiology Fellowship were completed at Baylor College of Medicine. Dr. Feldman is a board certified cardiologist with a strong interest in medical imaging. He is also board certified in Echocardiography with Level III training. AmirKashani M.D. | M.S. | F.A.C.C. Amir Kashani, M.D., M.S., F.A.C.C. JohnSunew M.D. | F.A.C.C. | F.S.C.A.I. John Sunew, M.D., F.A.C.C., F.S.C.A.I. Dr. Sunew is triple-board-certified in Interventional Cardiology, Cardiovascular Disease, and Nuclear Cardiology. He is listed among Top Doctors 2015 in both H Texas Magazine and Houstonia Magazine. He was born in Connecticut and grew up in New York state. Dr. Sunew attended Amherst College in Amherst, Massachusetts and went on to earn his medical degree at State University of New York Health Science Center at Brooklyn in New York. He then completed his internal medicine residency and cardiology fellowship at The George Washington University Medical Center in Washington, DC. He fulfilled his interventional cardiology fellowship at Northwestern University in Chicago, Illinois. Prior to moving in 2011 to Katy, Texas, Dr. Sunew practiced interventional cardiology for ten years in northern Virginia. He held many leadership roles with the Inova Health System, including Medical Director of the Cardiac Catheterization Laboratory at Inova Alexandria Hospital and Chairman of the Inova Cardiology Quality Steering Committee. He was also Regional Leader for northern Virginia in the Virginia Heart Attack Coalition. In addition, Dr. Sunew served as Assistant Professor for the Department of Internal Medicine, Virginia Commonwealth University School of Medicine Inova Campus. He was also involved in several clinical research trials and academic publications. Dr. Sunew is able to offer the latest and most innovative treatments in cardiology, interventional cardiology, and peripheral vascular disease. He offers expertise in complex coronary angioplasty procedures and peripheral arterial angioplasty. His non-invasive skills include transesophageal echocardiography and nuclear cardiology. Another unique service offered by Dr. Sunew includes transradial cardiac catheterization. This involves performing the diagnostic and angioplasty procedure through the radial artery at the wrist of the arm, instead of the traditional approach through the femoral artery at the top of the leg. The radial technique has been demonstrated to have equally effective procedural outcomes with the advantages of less bleeding risk and improved comfort for the patient during his or her recovery. Dr. Sekili was born in Chicago, Illinois. He graduated Glenbrook North High School as Valedictorian in 1979. He then attended the University of Illinois in Champaign-Urbana for college and graduated with the Bronze Tablet Award, recognizing the top 3% of the graduating class. He continued his training for medical school at the University of Illinois in Chicago, and residency in Internal Medicine at Michael Reese Hospital in Chicago, which at the time was affiliated with the University of Chicago. After nearly 30 years in Chicago, he moved to Houston in the 1990 for his Cardiology Fellowship at Baylor College of Medicine with rotations mainly at the Methodist Hospital. He also completed research in myocardial stunning and preconditioning with several publications. He then did an Interventional Cardiology Fellowship at The Methodist Hospital in Houston where for a full year, he did nothing but angioplasties and stents of various blocked arteries. Since 1995, Dr. Sekili has been serving the West Houston and Memorial communities. He is board certified in Internal Medicine and Cardiology. He is trained in all aspects of cardiology with an emphasis on prevention of atherosclerosis, heart attacks, and strokes. 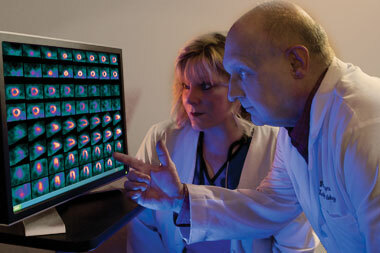 He achieves this with detailed risk factor analysis and control, including focusing on cholesterol, hypertension, diabetes, smoking, and genetics, coupled with the early detection of cardiovascular disease through careful physical examination, ultrasound of carotid arteries, echocardiography, holter monitoring and stress testing. He would much rather prevent the development of blockages in his patients, but when the need arises, he has special expertise in the diagnostic catheterization of the heart, aorta, kidney and peripheral arteries as well as the opening of blockages with balloon angioplasty, stents and atherectomy. Favorite Activity: Playing the piano, spending time with family, & traveling. Albina is a Houston Nurse Practitioner who was born in Naberezhnye Chelny, Russia. After earning her RN Associates degree from Columbia Basin Community College in Pasco Washington in 2008, she worked as an RN in the ICU unit of Kennewick General Hospital, WA. In 2012 Albina completed her Master’s degree of Science in Nursing at Washington State University—Tri Cities and has been an active cardiology nurse practitioner in Washington and Texas. In June 2014, Albina joined Memorial Katy Cardiology Associates. Prior to immigrating to the United States in 2002, Albina worked as pianist and accompanist. She received a Master’s degree in piano from Kazan State Conservatory, Russia. Albina spent several years teaching the piano and playing accompaniment piano for students in regional and national competitions in Russia. Albina enjoys spending time with her husband and 2 sons, playing the piano, traveling, and cooking. Lisa was born in Sudbury, Ontario in Canada. After earning her Bachelors of Science in nursing, she moved to Houston where she worked in the Cardiac Intensive care at the Methodist Hospital in the Medical Center. She later received special training and worked in the cardiac catheterization lab. During this time she continued her studies and in 2005 she graduated from the University of Texas Houston Health Science Center with a degree as an Acute Care Nurse Practitioner. Prior to working at Memorial Katy Cardiology, Lisa worked at a local Houston hospital in the Cardiology department and was involved in activities as coordinating care for heart attacks, evaluation, and management of cardiac admissions, and monitoring cardiac stress tests. Lisa’s personal interests including traveling, music, arts and spending time with her husband, two children and dog.